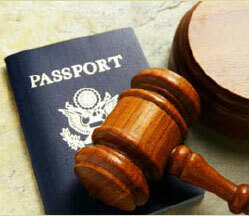 Becoming a U.S. citizen is a dream for many people who immigrate to the United States. Citizenship can offer many benefits, including the right to vote, eligibility for certain government jobs and relief from the possibility of problems with residency status. If you are an immigrant who would like to become a U.S. citizen, the Dallas naturalization lawyer at Coleman Jackson, P.C., can provide you with experienced advice and representation for the naturalization process. Attorney Jackson and the dedicated team at our law firm understand the many paths to obtaining citizenship and will help you discern whether you are eligible to become a citizen through naturalization. We serve clients in Dallas, Texas, and surrounding cities. If you are a citizen with a child who was born outside the United States and lives outside the United States, your child may qualify to become a citizen. Even if you do not meet these requirements, there may be other ways for you to qualify for citizenship in the United States. The naturalization process is complicated, and not everyone can qualify to become a citizen. When you work with the experienced team at Coleman Jackson, P.C., we will discuss your particular situation in a confidential, caring and professional environment. We will determine whether you are eligible to become a citizen through one of the many paths available, and we will work with you to achieve your goal of becoming a citizen. us at 214-599-0431 or filling out our online form.